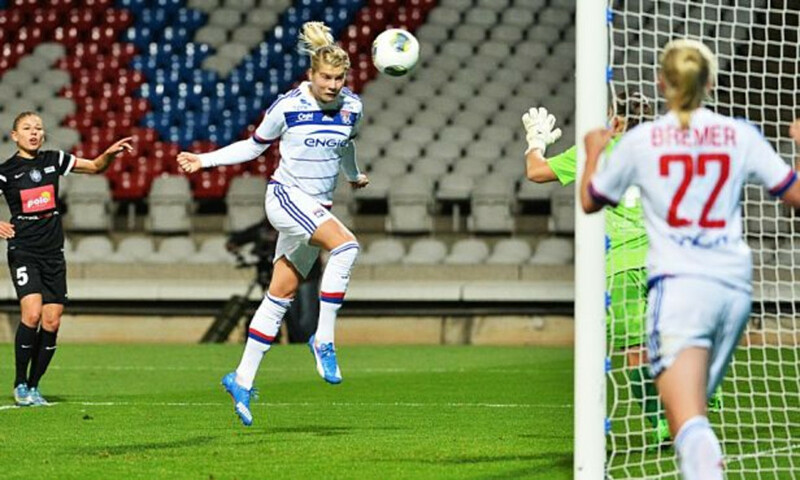 - 88': Magnificent Hegerberg goals after good lead up play from Abily and Kumagai. 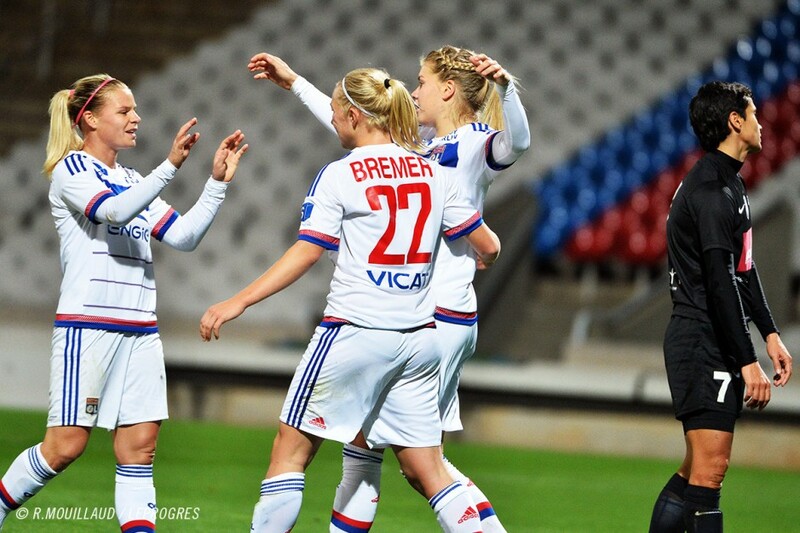 - 67': Hegerberg finally gets Lyon's second with a header after a deflected shot. 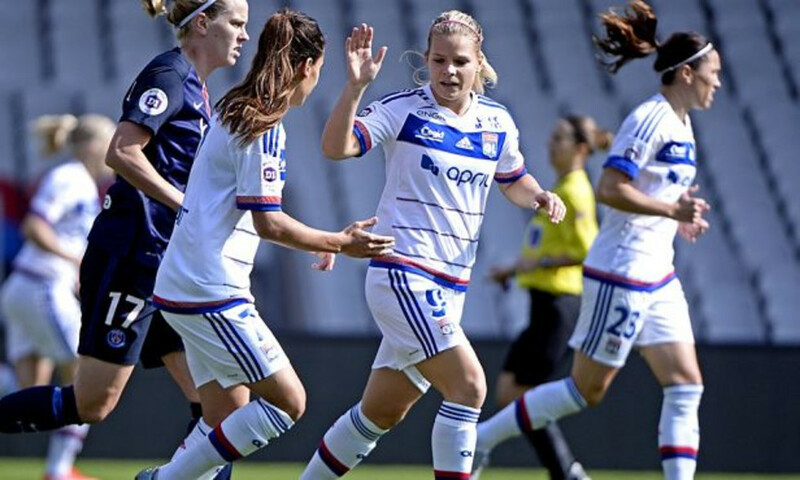 - Hegerberg replaced Schelin for the second half. - 2': Cascarino breaks free and crosses for Le Sommer to head home (1-0). Following the 6-0 win in Poland, the qualification for the last-16 is not in question, but Les Lyonnaises still need to put in a quality performance to get the home win. 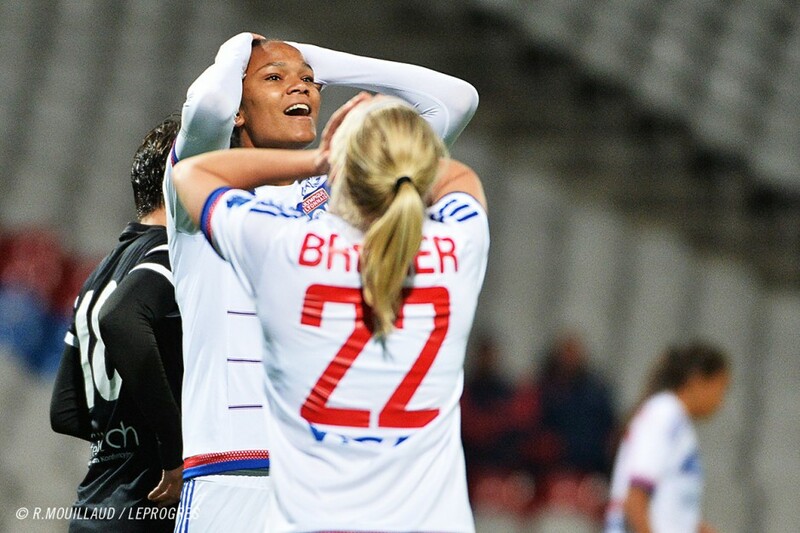 Lyon made two changes from the side that triumphed in the first leg with Wang replacing Gérard in goal and Cascarino coming in for Hegerberg. OL played in a 4-3-3 formation. 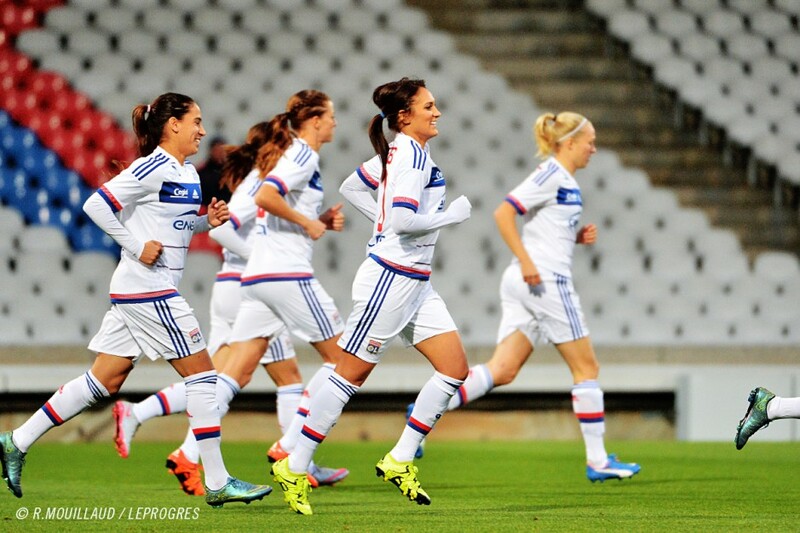 Lyon, Stade de Gerland, 4,000 spectators. Referee Ms Barbara Poxhofer (AUT). 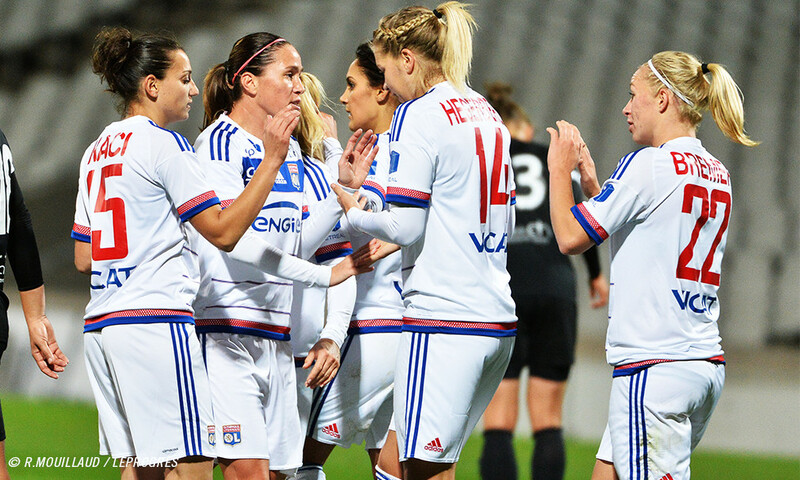 OL 3-0 Medyk Konin (H-T: 1-0). 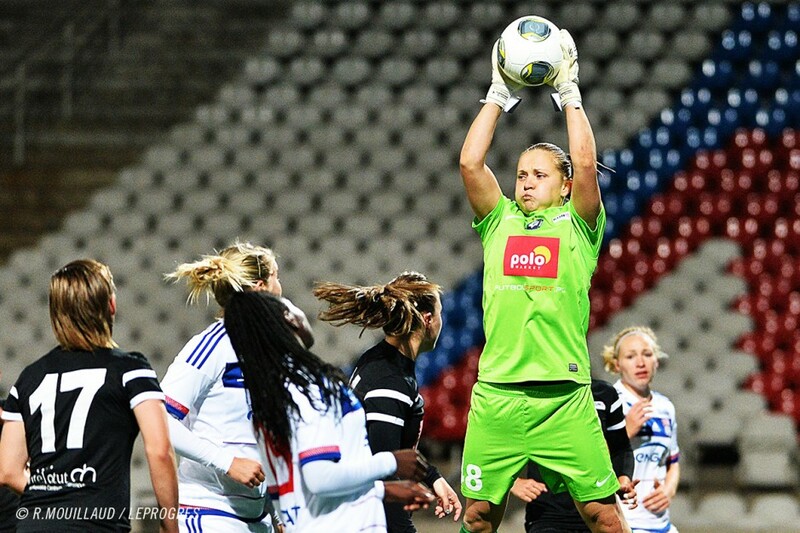 Medyk Konin: Szymanska - Sikora, Grzywinska, Slavcheva, Grad, Ficzay, Chudzik, Daleszczyk, Balcerzak, Gawronska (cap) (Dudek 75'), Tarczynska. Coach: Jaszczak. 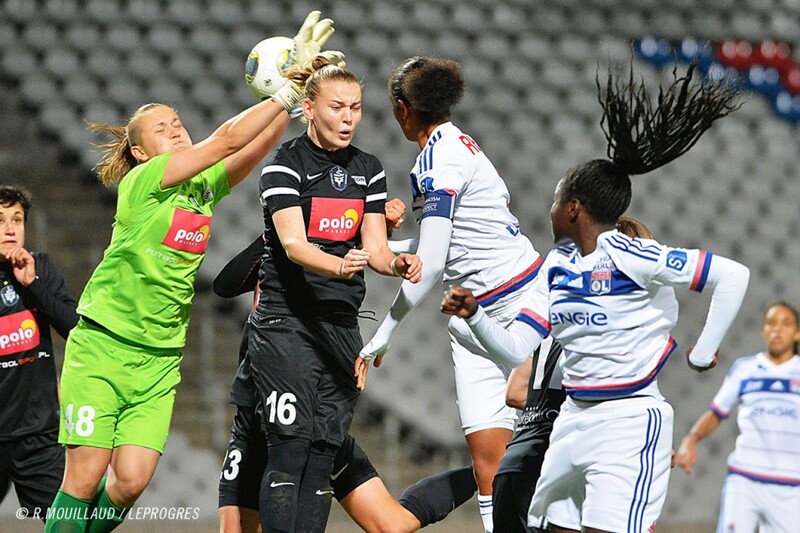 Shots: 35 shots for OL (Le Sommer 6, Hegerberg 7, Renard 4, Abily 4...); 2 for Medyk. Corners: 12 for OL and 0 for Medyk.